"It is well with the boy." 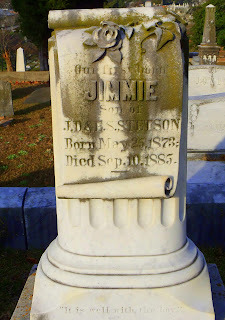 Young Jimmie Stetson's tombstone is fashioned after a broken column. This often represents a life cut short. Dying at the young age of twelve years, as did Jimmie, would be an example of just that. 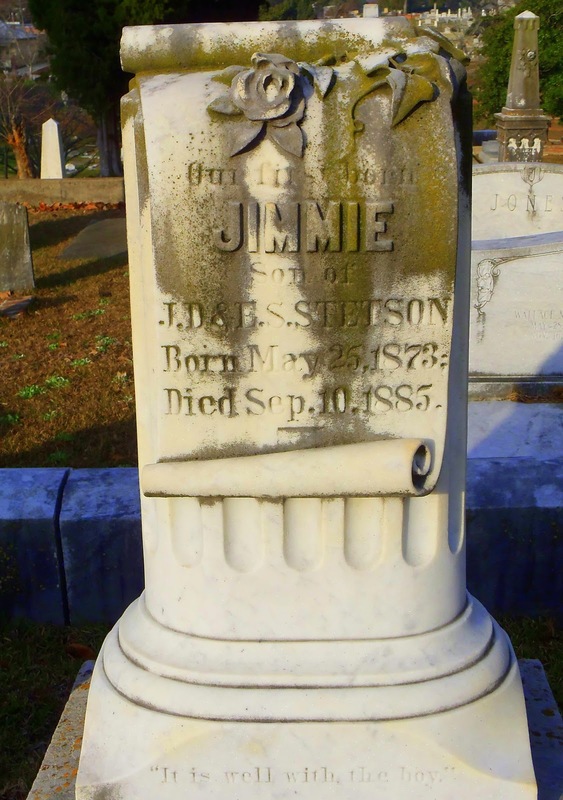 A poignant Our first born is inscribed above Jimmie's name on the scroll that bears his epitaph, and at the base of the broken column is "It is well with the boy." I took this latter phrase as a play on "It is well with my soul," a hymn written by Horatio Spafford about 1873.